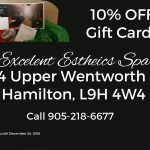 Excellent Esthetics Spa is the right place to buy Vagheggi Phytocosmetici products or to experience the ultimate in European-crafted facials and skin care in Hamilton, Ontario. Good things are not easy to find, great things even harder to find. Welcome to the world of Vagheggi Phytocosmetici – renowned all over the world for its excellent line of skin care products and treatments that are only available in top spas like Excellent Esthetics. Building on the mystique of Chinese herbalists, Vagheggi has developed an amazing collection of superior skin care products to treat virtually any skin type there is. At Excellent Esthetics we spent countless hours researching the best possible fit in skin care products for our clientele. After months of researching and comparing many products such as Eminence Organics, Guinot, Yonka, Dermalogica, and many more, The result we chose Vagheggi Phytocosmetici. Vagheggi has 40 plus years of experience in the formulation and creation of the finest natural products. These products have been popular throughout Europe, the Orient and South East Asia for many years. Now you can enjoy these products right here in Hamilton. Many factors were considered in our comparisons. Our major goal was to provide all of our clients with a results-oriented, reasonably priced natural skin care product that simply works as stated. After several months of using Vagheggi we have expanded our available Vagheggi product lines to include not only Vagheggi’s skin care and anti-aging products but also some of their body treatment products. Call today or drop by the Spa for a free analysis of your skin and to explore the world of Vagheggi facials and skin care. Rehydra– this product line is especially formulated for dry, dehydrated skin with ingredients selected and formulated to hold onto water. Kimmie and the staff will expertly apply the Rehydra ingredients to restore and optimize the hydrolipidic film of the skin to protect it from trans epidermal water loss and leave your face feeling nourished, radiant and alive. This treatment is great for normal skin as well. Balance– perfectly created for skin that is oily and acne prone. If excessive sebum is the problem, a Balance facial is the solution. Let Kimmie and the staff remove the bacteria associated with blackheads and whiteheads with this specially formulated product. A Balance facial will leave your face feeling fresh and clean. Special problems require a special solution. Balance by Vagheggi Phytocosmetici is the answer for those suffering from oily, acne prone skin. Let us help you get rid of acne with one of the best acne products available. Equilibrium– it’s all about perfect pH balance. 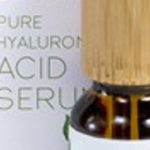 Maintaining healthy skin is the objective to provide an optimum pH level utilizing all natural ingredients. 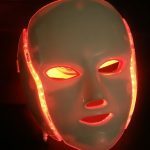 In an ideal world, it should be possible to personalize a treatment to suit your particular skin type and requirements. Kimmie will do so by adjusting the essential oils and minerals to custom tailor the base line to suit you. Equilibrium is the answer to your balanced skin care. White Moon– is the Excellent Esthetic answer to uneven skin tones and blemishes. Vagheggi has produced this line to address uneven complexion colour by acting on micro-circulation to leave you looking radiant and your very best. By reducing and preventing uneven skin colouring and blemishes, White Moon expertly applied by Kimmie and the staff will moderate your complexion to leave you looking radiant and glowing. Come in for an amazing Vagheggi Phytocosmetici facial, skin analysis or other treatment by Kimmie or to purchase these superior skin care products at our exclusive location, Excellent Esthetics Spa is your place to be for facials and skin care in Hamilton. Come and see us soon. Excellent Esthetics Spa offers Vagheggi Phytocosmetici in part because of its commitment to nature and the environment. All of its product lines are naturally stabilized and paraben free. No testing is done on animals but instead utilizes dermatological (patch test) and microbiological (challenge test) controls. Even the packaging is in “green” boxes that do not release phthalates. Furthermore, all retail packaging utilizes recyclable paper or plastic materials. It’s our world and we all have to live in it.